Make-A-Wish America is Arizona’s only national non-profit, founded and headquartered in Phoenix, Arizona. Make-A-Wish began after local motorcycle officers granted one boy’s wish to be a policeman during his battle with leukemia and have continued their efforts in making other ‘wish kids’ dreams come true. 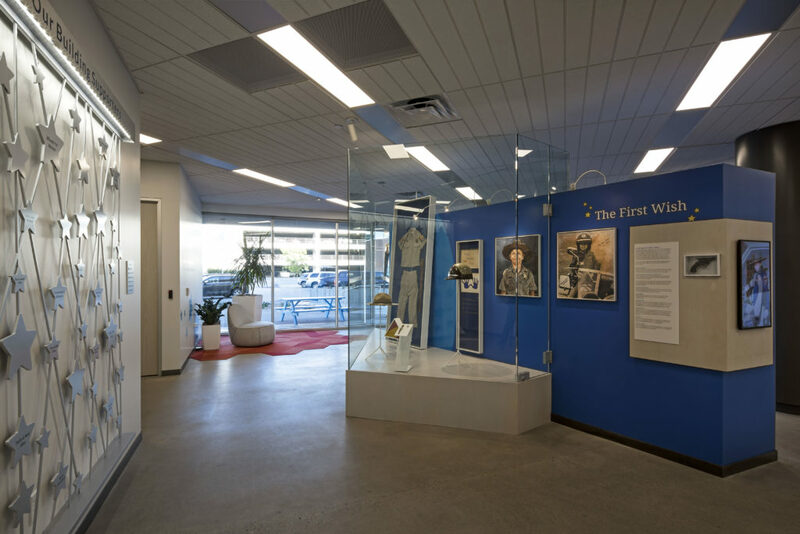 Jokake Construction and WORKSBUREAU transformed an 87,000 SF four-story building into a bright workspace in the bustling Camelback corridor for Make-a-Wish America’s new home. 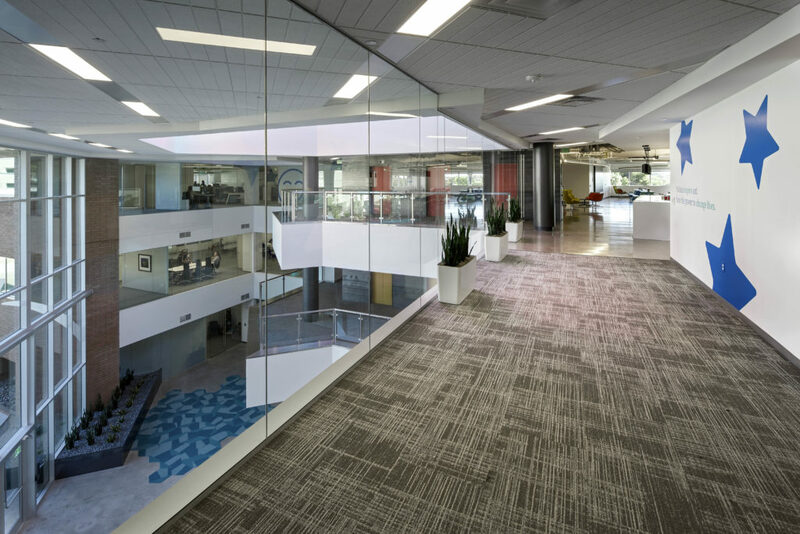 The project team worked diligently since early 2017 to provide not only a facelift to the exterior of a once dark and dated building, but also a much-needed shift in office culture. Playful syncopation of elements is a recurring theme used to break down the monotony of the original 1980s brick structure. 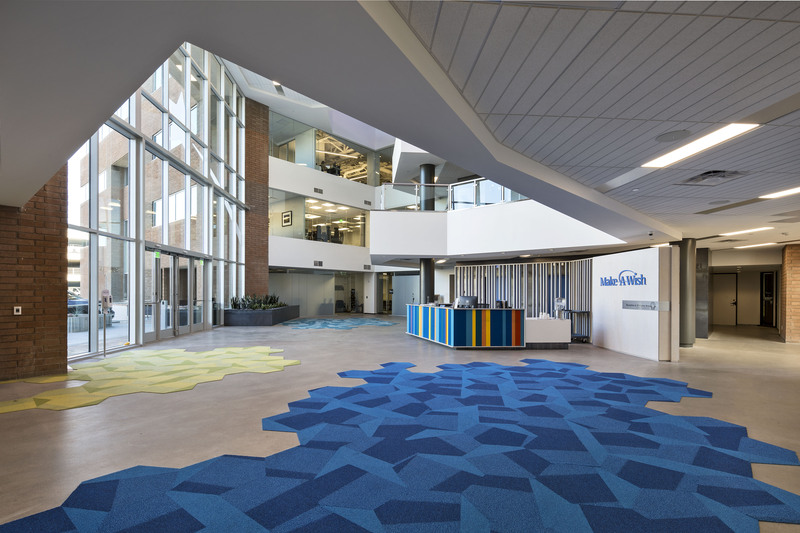 The building was completely re-glazed with clear glass to allow more natural light into the space and provide transparency from the outside to the energy inside. The theme occurs again in the addition of the site fence composed of alternating perforated and solid steel panels. Now shaded and secure, the patio works to improve office culture by providing a comfortable escape for employees. Inside, a pseudo open office concept was designed to promote informal gatherings and encourage collaboration. New floor openings between the third and fourth levels, entirely occupied by Make-A-Wish, provide connectivity between the departments. Due to the aging condition of the building, the 8 million dollar project was much more than a corporate interior project. Construction challenges centered on striking a balance between upgrading the outdated systems with Make-a-Wish’s vision on a non-profit budget. The building required significant mechanical rework, a new roof, updating various MPE requirements, and a new EMS system. 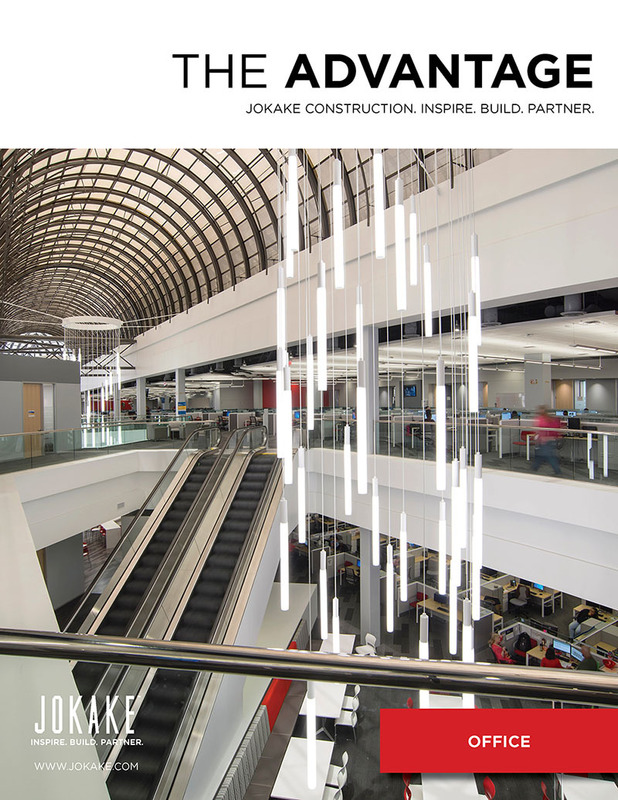 The years of experience and subcontractor relationships of Jokake’s Senior Project Manager Brian Mays allowed him to provide an all-encompassing budget and maintain design intent by offering cost effective alternatives. This, paired with small donations or discounts on labor and product from the construction community, allowed the realization of this refreshing and playful place to work. Walking into the lobby of Make-a-Wish’s office, guests are greeted by color, light, and an energy that embodies the mission of the non-profit.